Hummingbirds are believed, in many cultures, to be messengers to other worlds - to the gods, to loved ones who have crossed over. My grandmother used to hang feeders outside and large beautiful Birds of Paradise to help care for the hummingbirds that lived nearby. These little flights of wonder always make me think of her. So for many years I've considered and contemplated getting a tattoo of a hummingbird in memory and love for my grandmother - but I never got around to it. 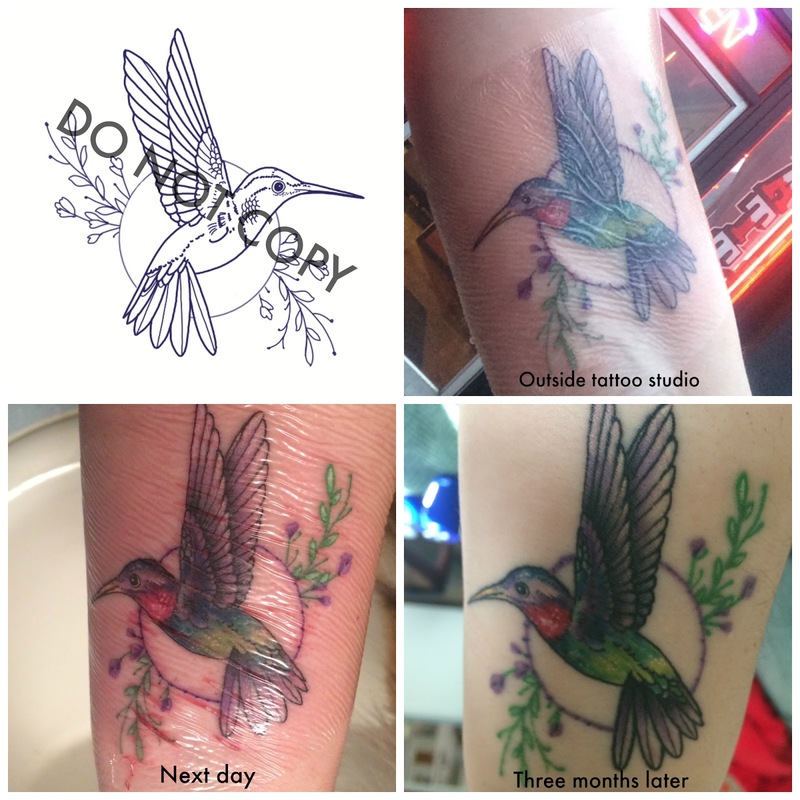 Then this past September my Aunt decided she was also ready to have a hummingbird tattooed in memory of her mother. So we planned for Grandma's birthday to be the day we'd go and get little messengers tattooed. I had been following a local artist for sometime on Instagram; with her eye for detail and beautiful flora/fauna artistry, I knew that Anna was who I wanted to do my hummingbird tattoo. Dry Shampoo: So Many Choices, Which to Pick? A New Year. A New Try.